If you are beginning your search for an Inca Trail tour operator, this list is a good place to start. There are more than 150 licensed Inca Trail operators in Peru with new agencies springing up each year. This list includes some of the most well-established and reputable Peru-based companies. The agencies featured here also offer alternative treks to Machu Picchu as well as other treks and tours in the Sacred Valley. The list takes a variety of recommendations into account including Machu Picchu tour companies that are featured regularly in the latest Peru travel guidebooks, review sites, travel forums, as well as some personal insight. Since its foundation in 1975, Explorandes has received plaudits for both its commitment to responsible tourism as a Rainforest Alliance-certified tour operator and certification for its environmental management system. Explorandes runs tours and treks throughout much of Peru including private departures and tailor-made tours. Its five-day/four-night Inca Trail trek departs on Sundays and Wednesdays. Although the trek can be done in four days, the tour company insists its pacing makes for a more enjoyable, less crowded trip. Valencia Travel Cusco focuses on its quality of service, customized attention, and special deals, with treks and tours suited to both young adventure travelers and potentially less mobile baby boomers. The trek chefs are miracle workers, the Quechua-speaking porters are well cared for, and the guides are dedicated and knowledgeable. Reassurance is a part of the package as each staff member from porters to guides to senior management has a genuine desire to see every trekker realize his or her dream of reaching Machu Picchu. You can choose from two-day to five-day Inca Trail treks. Peru Treks specializes in the classic four-day/three-night Inca Trail trek to Machu Picchu, a focus that has made it a consistently recommended operator. As well as frequent appearances in various Peru travel guides, the company has also received accolades from Peru’s Ministry of Tourism and honorable mentions in most major guides like Lonely Planet and Moon Handbooks. Peru Treks prides itself on porter welfare (all 250 of them), it's 20 bilingual Peruvian guides, and a large percentage of the profits made by Peru Treks goes toward community projects like schools for the local population. In 2001, a Cusco native with 20 years of experience in adventure tourism in Peru joined forces with his North American business partner to found Andina Travel. The company has been an authorized Inca Trail operator since 2002, while also running numerous alternative treks and tours to Machu Picchu, the Sacred Valley, and other destinations throughout Peru. Andina Travel offers a two-day, four-day, and five-day trek on the Inca Trail. Also, the tour operator has “non-trekking soft adventures” through Cusco, the Sacred Valley, and on to Machu Picchu. Inca Trail prices are slightly higher than average, but Andina takes good care of its trekkers, as well as its guides and porters. Founded in 1987, United Mice has built a strong reputation over the years for trekking, horse riding, rafting, and jungle trips in southeastern Peru. You can expect plenty of local knowledge from the porters and guides, as well as no-nonsense trekking with good food and equipment. The company also donates one percent of its profits to a foundation helping street children in Cusco. Llama Path is one of the later additions to the Cusco circuit, but the agency has built a big reputation since its foundation in 2004. It offers group and private treks to Machu Picchu, including a variety of Inca Trail alternatives. Groups contain a maximum of 16 people, but the average group size (according to the Llama Path website) is from eight to 10 people. 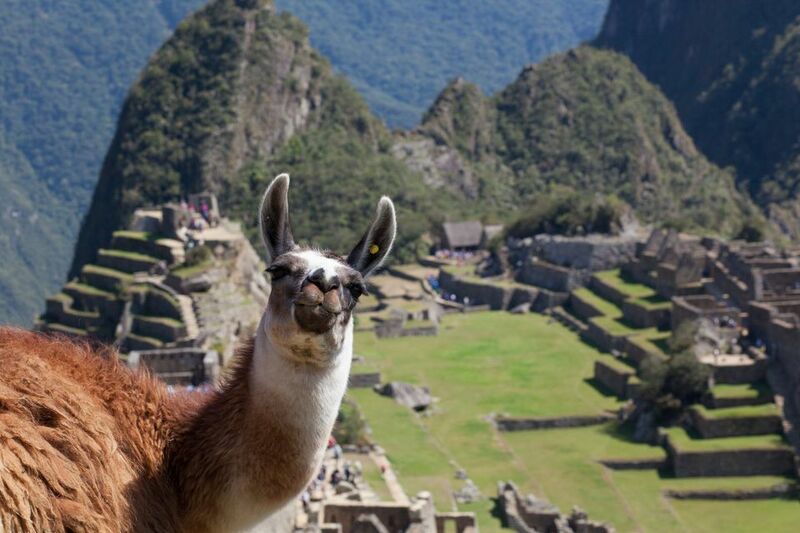 Llama Path offers two- to five-day Inca Trail tours. Founded in Cusco in 2002, Enigma Adventure is an adventure travel and trekking specialist with one foot placed firmly in the luxury market. It's classic Inca Trail to Machu Picchu (four day/three night) is more expensive than many, but clients can expect a highly personalized experience, with a maximum of 12 people in each group (no minimum) and two guides for groups of more than eight people. Enigma also prides itself on the treatment of its guides and porters, as well as the quality of its food. Q'ente has been operating in the Peruvian Andes since 1995, primarily as an adventure tour and trekking company. Trekkers can choose from five different Inca Trail excursions ranging from a short two-day/one- night option to the seven-day Salkantay Inca Trail. Q'ente also offers a wide range of alternative routes to Machu Picchu, as well as five- to 20-day package tours. Inca Trail group sizes range from two to 16 people. The five-day duration lends itself to a more relaxed trekking experience (many Inca Trail treks last for four days), while also giving you more time to explore Machu Picchu on the final day. Price includes a return from Machu Picchu to Cusco via the luxurious Vistadome train and private bus. Do not let the no-frills website put you off; SAS Travel is a solid option with almost two decades of experience leading tours and treks in Cusco and Peru. The company prides itself on its responsible outlook, including a dedicated “leave no trace” tourism work ethic and concern for porter welfare. SAS also has a reputation for providing its trekkers with above average food. Trek prices for the standard four-day/three-night Inca Trail trek are competitive with reliable daily departures.